Russia’s new Udav pistol has been approved for serial production, RIA Novosti news agency reports. The 9-mm Udav semi-automatic pistol was developed by the Central Research Institute for Precision Machine Engineering (TsNIITochMash) of the Rostec state corporation. 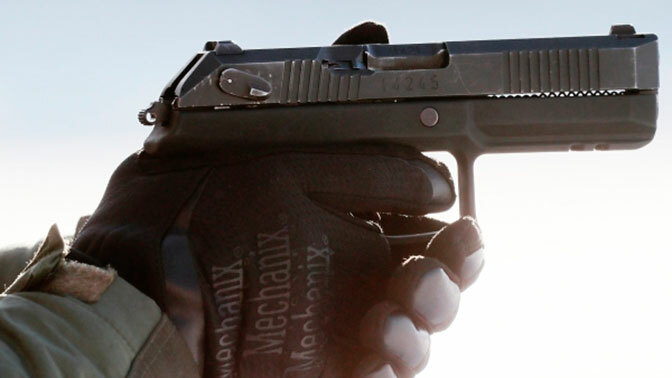 Plans call for equipping the Russian Armed Forces with this pistol. The Udav, which is made of Russian-made components, is supposed to replace the legendary Makarov pistol developed in the post-war years (like the Kalashnikov assault rifle). The pistol’s magazine capacity is 18 rounds, which is ten more than the one of the Makarov pistol. The Udav uses 9×21 mm cartridges with tracer, armor-piercing or expanding bullets. In addition, two advanced cartridges – subsonic and with increased penetration – have been developed specially for the Udav. The Udav will be manufactured in three versions: for military personnel, for special task force and for civilians. The pistol will be available next year.